A girl in foster care tries to find her birth mother before she loses her forever in this “tender tale” (School Library Journal, starred review) about last chances and new opportunities. For a kid bouncing from foster home to foster home, The Book of Changes is the perfect companion. That’s why Marin carries three pennies and a pocket-sized I Ching with her everywhere she goes. Yet when everything in her life suddenly starts changing—like landing in a foster home that feels like somewhere she could stay, maybe forever—the pennies don’t have any answers for her. Marin is positive that all the wrongs in her life will be made right if only she can find her birth mother and convince her that they belong together. Marin is close, oh so close—until she gets some unwelcome news and her resolve, like the uneasy earth far beneath the city of San Francisco, is shaken. When eleven-year-old Marin Greene finds out that she is going to be adopted, she is anything but happy. That’s because Marin is convinced that her birth mother never meant to leave her behind. As she moves from foster home to foster home, Marin carries a pocket-sized I Ching and three pennies with her, hoping that this link to her mother will also give her the clues she needs to find her again. It is not until it looks like her hopes will be realized that she begins to question whether the mother she has been looking for and the mother she has been wishing for may not actually be the same. 1. The first five chapters of the book introduce the main characters: Marin, Owl, Gilda, and Lucy. Describe your first impressions of each of them. Can you identify a conflict that each character has? 2. What rules for survival in the foster care system does Marin make for herself? What does she hope will happen if she follows these rules? If you had to make up three rules for your own life, what would they be? 3. Throughout the novel, the author uses figurative language (like similes and personification) to describe characters, their thoughts and feelings, and the setting. Find a passage in the book that uses figurative language to help you picture the setting clearly or understand a character. Explain why you like the passage you selected. 4. Why are the I Ching and the piggy bank so important to Marin? If you were only allowed to take one or two personal belongings with you when you moved, what would you take? What makes the object(s) you chose important to you? 5. How does Marin react to being placed with Lucy? 6. Why do you think Owl decides to watch over Marin? If you could choose an animal to watch over and guide you, what animal would you choose? Why? 7. At the end of chapter 21, Crowder writes that when Marin arrives at Lucy’s house, “with her, frail as it may have been, came hope.” What do you think this sentence means? What hope does Marin bring with her? Why would the author use the word frail to describe this hope? 8. Describe the steps that Marin takes to try to find her biological mother. Do you think she is right to try to go looking for this person? Explain your answer. 9. When Marin asks the I Ching what the outcome of finding her mother’s friend Talula will be, she gets this answer: Youthful folly. What do you think this answer means? 10. In chapter 35, Marin begins to question what it means to say someone is a mother. If you had to write a definition of, or a job description for, a mother, what would it say? 11. Why does Marin want to know the date of Summer’s birthday? How does she figure it out? 12. When Marin comes to live with Lucy, how can you tell that Lucy cares about Marin? How can you tell that Marin cares about Lucy (even though she tries not to show it)? What causes Lucy to start considering Marin her child? What causes Marin to begin thinking of Lucy as her mother? 13. What surprises Marin about her feelings when she goes to meet her biological mother? Why do you think she feels the way she does? Did the reunion end the way you thought it would? If you could say something to Summer, what would you say to her? If you could say something to Marin, what would you say? 14. Why do you think Summer collects her wishes every year? Why do you think she lets them go at the end of each year? What does this reveal about the type of person she is? 15. Both Marin and Lucy experienced losing someone they loved. How are their experiences similar? How are they different? Explain how the earthquake helps bring Marin and Lucy closer together. 16. What does Marin understand when she reads her mother’s wishes? Why is this an important realization? 17. Explain Gilda’s internal conflict leading up to the adoption hearing. How does she resolve this conflict? Do you think she does the right thing? 18. The author chooses to personify the tectonic plates under San Francisco. How are the sections in the novel about the tectonic plates an example of foreshadowing? Is there a connection between the tension below the ground and tension in the lives of the characters? 19. What did you learn about the foster care system and adoption by reading this novel? What do you think makes up a family? 1. Throughout the novel, Marin turns to the ancient divination text, the I Ching, for guidance or wisdom. Research the history of the I Ching and learn how it works. Try asking a question and using coins to consult the I Ching. What do you think about the answer you received? 2. The I Ching is also called the Book of Changes. In literature, characters that change over the course of a text are called dynamic characters. Identify the dynamic characters in Three Pennies. How does each character change? Think of a time in your life when you experienced a change—maybe you grew up in some way, or learned an important lesson, or got to experience something new. Write a story about what happened and how you felt about the change you experienced. 3. Marin’s biological mother writes each of her wishes down and then lets them go at the end of the year. As a class, create a wish jar for each of the characters in the book. What do you think Marin wishes? What about Lucy? Talula? Owl? Gilda? After you’ve made wish jars for each character, make a wish jar for yourself. What will you do with your jar once it is full? 4. Owl’s chapters often end with a proverb like this one: Silence is a true friend who never betrays. What are proverbs? Make a list of all the proverbs in Three Pennies and explain what you think each one means. Then research other proverbs from different cultures and make an illustrated booklet of your favorite proverbs. 5. Three Pennies ends just after Lucy adopts Marin. What do you think happens to them? Write a short story about them that takes place in the future; you may want to write about a holiday or vacation they take, or just write about a normal day in the life of their family. 6. There’s a saying: You can choose your friends, but you can’t choose your family, but sometimes we do choose to have people in our life that become a part of our family or like a family to us. 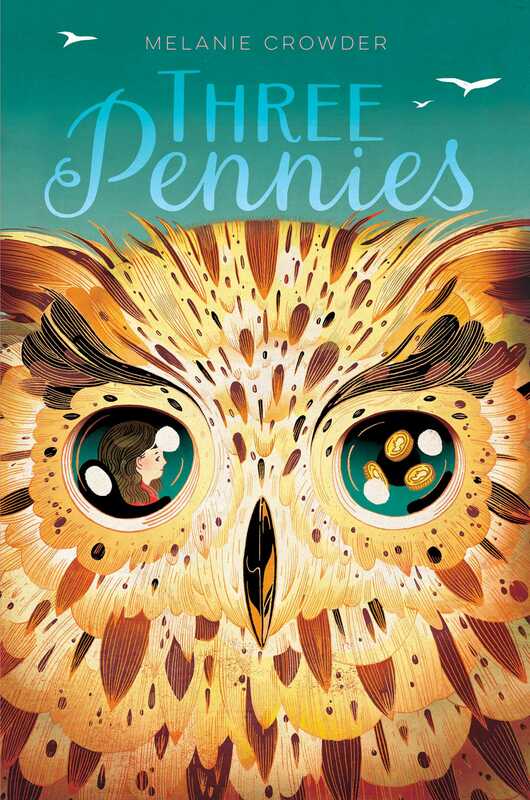 For example, at the end of Three Pennies, Marin and Lucy choose to become a family, and Owl chooses to stay with Marin. Write about someone who is special to you and explain how this person came into your life, and made it richer. 7. Research the causes and effects of earthquakes. Make a diagram or 3D model of the different types of earthquakes. Which cities or countries are the most at-risk from earthquakes? What steps can you take to stay safe during an earthquake? Guide written in 2017 by Amy Jurskis, English Department Chair at Oxbridge Academy in Florida. 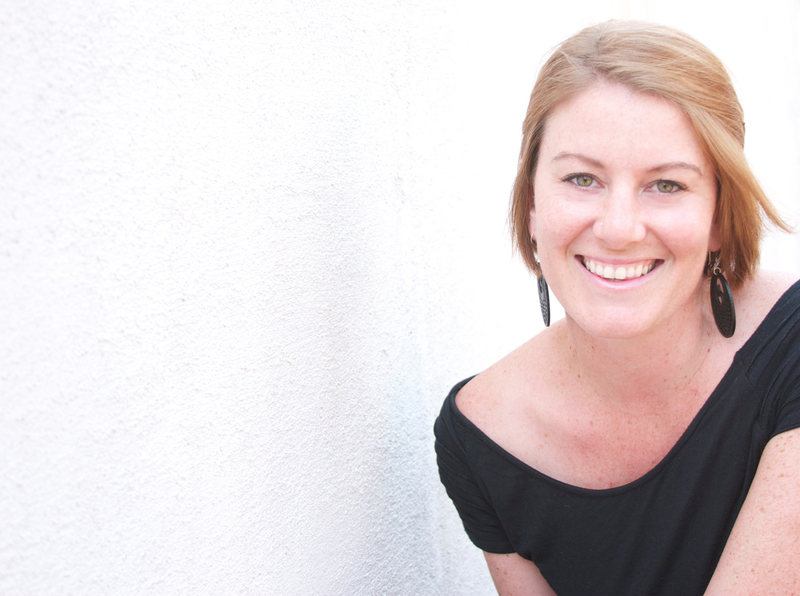 Melanie Crowder lives on the Colorado Front Range, where she is a writer and educator. She holds an MFA in writing from Vermont College of Fine Arts. She is the author of the young adult novels Audacity and An Uninterrupted View of the Sky and the middle grade novels Parched, A Nearer Moon, The Lighthouse between the Worlds, and A Way between Worlds. Visit her at MelanieCrowder.com. "Crowder’s sensitive tale has a poetic, lyrical quality that should entrance readers; most chapters are no longer than a page or two, shifting attention among characters (and, at times, switching to second person) in a way that creates a sense of community and togetherness. Marin is resourceful, determined, and brave, and although her life is not easy, her hope is powerfully felt."